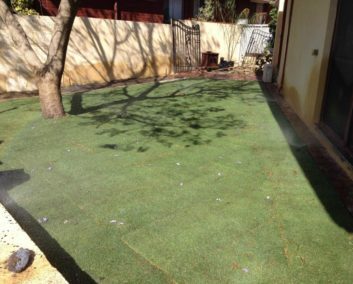 We laid 125sqm of Wintergreen turf today, after helping the client install their choice of reticulation last week. This garden is really starting to take shape with the new turf adding some good colour to support the native garden beds to come. 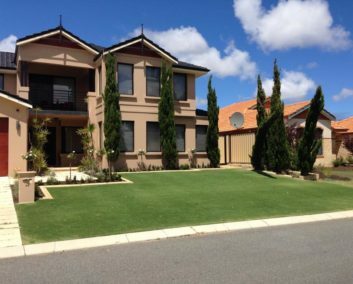 Mr Retic is a WaterWise Specialist and a member of Irrigation Australia. So you know you are getting a quality service that is both professional and responsible. Just wanted to say a big thanks to Bede. A wonderful job this week – he managed to fix the system so it now runs better than it has for the entire 12 years I’ve lived in this house! And having just received my bill – I’m even more impressed. Thankyou Bede. Such wonderful service by Bede who certainly knows about all things reticulation! 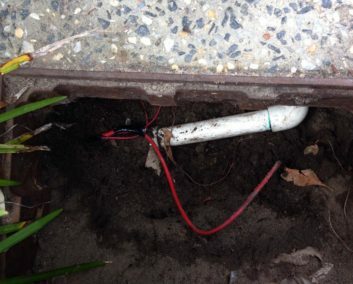 I’m looking forward to no longer having to hand water due to my impressive reticulation system. I would highly recommend his services to all. Thank you again. 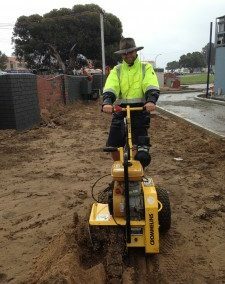 If you need reticulation this is your man! Bede is professional, friendly, on time and actually does an onsite quote unlike a lot of other. Fair pricing and excellent workmanship. He didn’t shy away from the challenge our place provided and did a great job. Our plants are thankful. Highly recommended. New Waterwise subsurface dip irrigation backyard install for this home revamp. All inclusive of the Hunter Hydrawise smart controller. Netafim XR subsurface Drip Irrigation and some good looking drought tolerant Empire Zoysia. We also exchanged the hydrophobic sandy soil for some rich mineral loamy soil. This will be a great place to enjoy for years to come..